Our country hotel is situated on the land "Conca" and "Marco", which was the inspiration for the name Villa Conca Marco, involves about 60 hectares of land and belongs since generations to the Palumbo family. Today runned by four brothers, who also inspired to the name of the selfproduced organic extra virgin olive oil "4 frati" (4 brothers) and their mother. 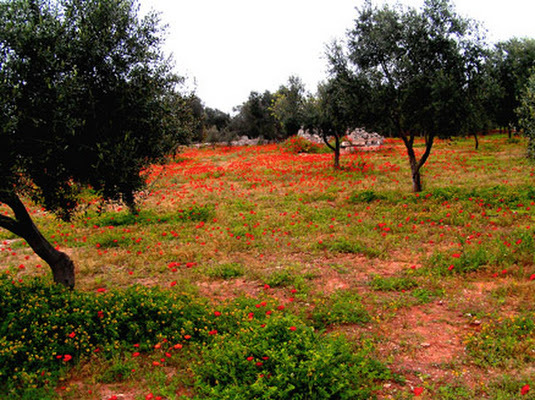 The primary business of our villa was and still is the olive oil production of different sorts of olives. Our passion for hospitality led us in 1994 to tourism and since then we are happy to welcome our guests from all over the world. We also would like to welcome you soon here at our Villa.